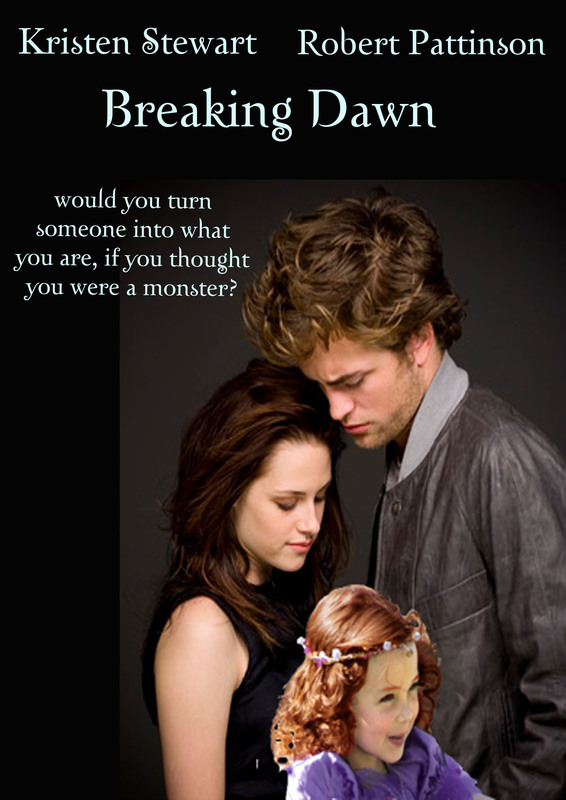 Breaking Dawn Movie Cover. . HD Wallpaper and background images in the Breaking Dawn The Movie club tagged: breaking dawn bella renesmee vampires cullen cover movie movie cover. This Breaking Dawn The Movie photo might contain پورٹریٹ, آرچر, closeup, تصویر, and ہیڈشوٹ. It good,but the child is disraction.